Here’s a fun website we did for a financial advisor. 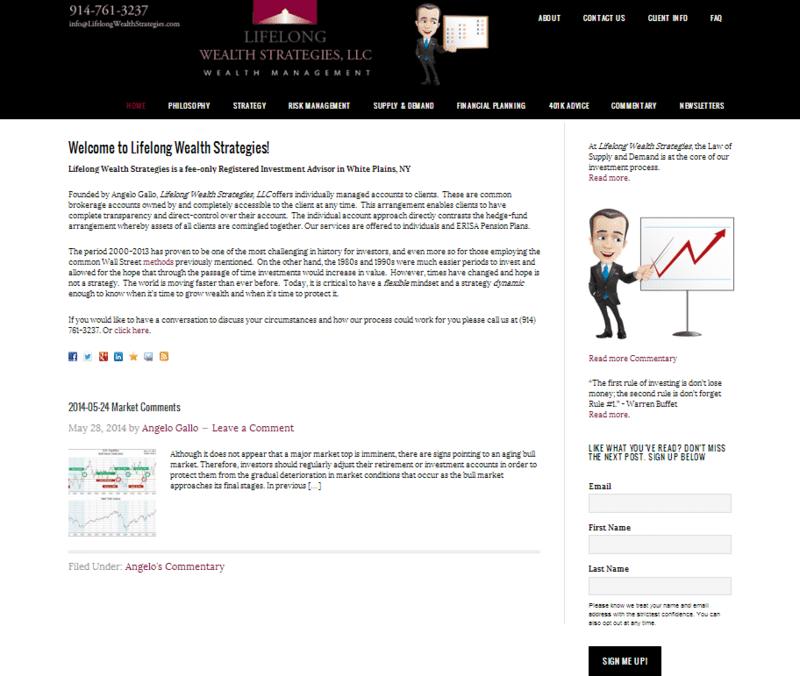 It is one of a series of cartoon type sites that we have been building for financial advisors. Having a cartoon representation of yourself can make a serious subject a little less intimidating for the reader. People feel a little more comfortable reading about serious things when they see cartoon characters instead of serious portraits. So, here’s a look at the latest in the series of websites we have done for our financial advisor friends.